Players from around the globe might not be aware of it, but Finnish players enjoy rules and regulations that make it something of a gambling paradise. With no restrictions on when and where they can play, and no taxes to speak of in any winnings, players have their pick of the top poker sites, sportsbooks and casinos and this can come in very handy indeed when building the gambling destination into the overall strategy. Given the circumstances, it is somewhat surprising that Patrik Antonius is the only truly major name to have emerged from the Finnish poker scene, although given the weather and the quality of the internet connections across the country, it is perhaps less of a surprise to see that Finnish players are generally more inclined to make their names online. The Nordic countries tend to favour local options when gambling online. A popular deposit option that sees little use elsewhere is Trustly, based in Sweden, and the country has a massive influence on what and where those players choose to play. The biggest slot developer in the area is NetEnt, also founded in Sweden, and the poker site that combines popularity and reputation more so than any other is Betsson which, as you might have guessed by now, was also launched in Sweden. Betsson is among the biggest groups in gambling in general, with over 1,800 employees around Europe. While the name suggests that it is a sportsbook by trade, it is widely-regarded as being a premier full-service operator. Their sportsbook is, of course, among the most highly regarded in the industry not only in Finland but across Europe, and their casino is among the most highly ranked of all on Finnish casino resource Nettikasinot. Their poker platform is also widely regarded as being outstanding. 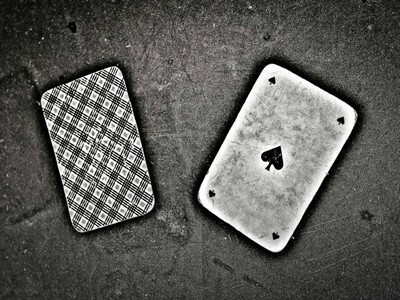 The brand has offered online poker since 2004 and operates as part of the MPN network. That places it in esteemed company, sharing players with the likes of Guts, Grosvenor and Redbet. The network won the EGR Poker Software of the Year and Poker Network of the Year awards in 2015. Crucially, the software boasts widespread support to enable players to get into a game no matter where they are. As the awards would indicate, the desktop client is among the most robust and user-friendly out there, while the mobile interface enables players to make use of their smartphones and tablets to ensure that they never miss a tournament. Betsson actually takes this a step further in Finland and beyond through the development and delivery of dedicated poker apps for both iOS and Android. The only major downside to Betsson for Finnish poker players is the fact that MPN only offers limited support for Poker Tracker 4 and other leading software solutions. Tournament players will be in good hands, with full support for both the tracker and the HUD, but it is not possible to use these tools at cash games. Fortunately, the nature of the Finnish online gambling industry means that Betsson is merely one of numerous options. Unless the operator explicitly bans Finnish players – which is rare outside of licensing considerations – these players have free reign. 888Poker, PokerStars and the iPoker Network all offer plentiful options for players and they fill in that slight gap in service from the software support. Away from the tables, Finnish players enjoy the same level of flexibility when enjoying just about any online gambling activity. Most big-name casinos are licensed and regulated by the Malta Gaming Authority, and such a licence is more than sufficient for legal, safe operation in Finland and the choices are virtually endless. Nettokasinot lists the likes of No Account Casino – an innovative operator in its own right – along with Dream Vegas, Casinohuone and Kolikkopelit among the best options for anyone looking to play online casino games in Finland, and they all apply a localised twist to the full casino experience. So, while we would not necessarily suggest going out of your way to move to Finland to enjoy perhaps the most advantageous online gambling landscape in the world, we are not arguing against it either! It is a true haven for online poker fans, and casino players and sports bettors are never left out in the cold either – depending on the season, of course.